General plan for urban development of Kyiv and its suburban areas by 2025 (hereinafter – General plan of Kyiv city) is being developed in execution of the Decree of the President of Ukraine No. 157/2008 “On urgent measures for urban development of Kyiv”, the decision of Kyiv city council of September 18, 2008, No. 262/262 “On drafting of new General plan for urban development of Kyiv and its suburban areas by 2025”. Conditions of central bodies of state and executive government, main departments of Kyiv City State Administration, Kyiv Regional State Administration, District State Administrations in the city of Kyiv, referring to state and public interests, were accepted for the development. Initiator of the development is the Main department of city-planning and architecture of the executive body of Kyiv city council (Kyiv City State Administration. A designer in charge is a municipal organization “Institute of General plan of Kyiv city”. Leading project and scientifi c-research institutions, listed in the attachment, are involved into the development of the project of General plan of Kyiv city. According to the Law of Ukraine “On stimulation of regional development” on the basis of regulations of the executive body of Kyiv city council (Kyiv City State Administration) dated August 30, 2010, No. 662 dated December 09, 2010, No. 1070, a Strategy for the development of Kyiv city by 2025 has been designed. 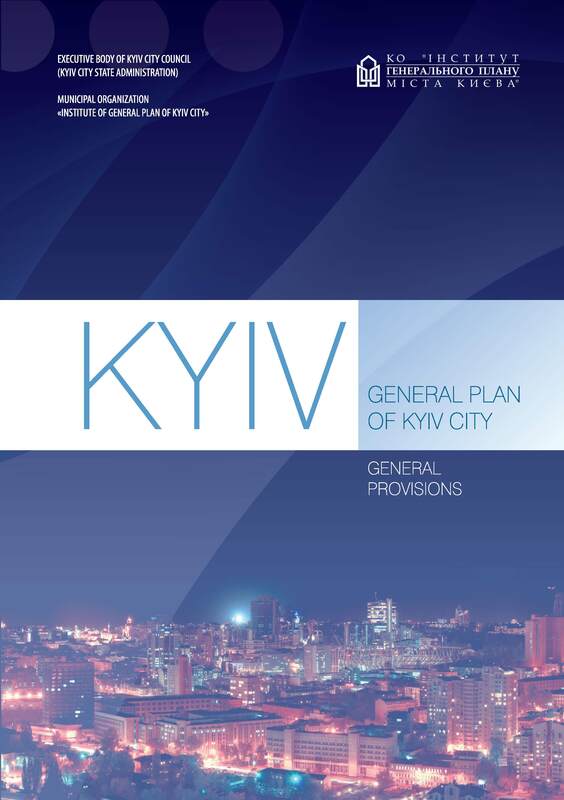 City-planning decisions of General plan of Kyiv city are connected with this Strategy, which clearly defined the vision and mission of future Kyiv city and was approved by Kyiv city council in May, 2011. General plan of Kyiv city contains analytical and substanting data, tabular calculation and graphics of the existing situation in the city at the beginning of 2011, the forecast of demographic and economic development and employment patterns, estimate of territory recourses of the city and demands in areas for implementation of complex city-planning development on the principle of compactness. Suggestions are induced due to balancing of the system of settlement and employment, planning structure and function of land use in the city, allocation of building construction, development of public centers and system of public service on the principle “the center is near the house”, optimization of usage of industrial and municipal-storage areas. Particular attention is paid to the green planting and recreation landscape areas of the valley and slopes of the Dnipro River, lakes and surrounding forests, preservation of sights of historical-cultural heritage, creation of extended infrastructure of tourism, formation of “Cultural Valley” - the center of the development of culture and arts of international standards in the city of Kyiv. 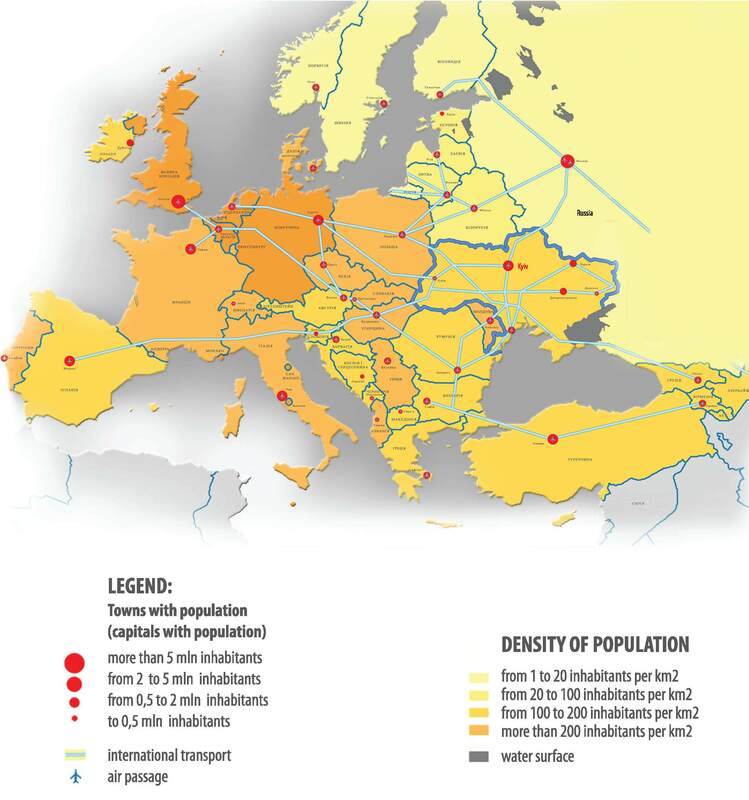 Measures for modernization of transport infrastructure and engineering infrastructure, building of streets, bridges and tunnels, multi-level road interchanges, improvement in the state of the environment, allocation of objects of common interests in the city of Kyiv and surrounding territorial communities in suburban area, are indicated. Constructed technical-economical parameters, list of objects of urgent construction in 2011-2015 years, organizational measures of implementation of General plan of Kyiv city, are provided.